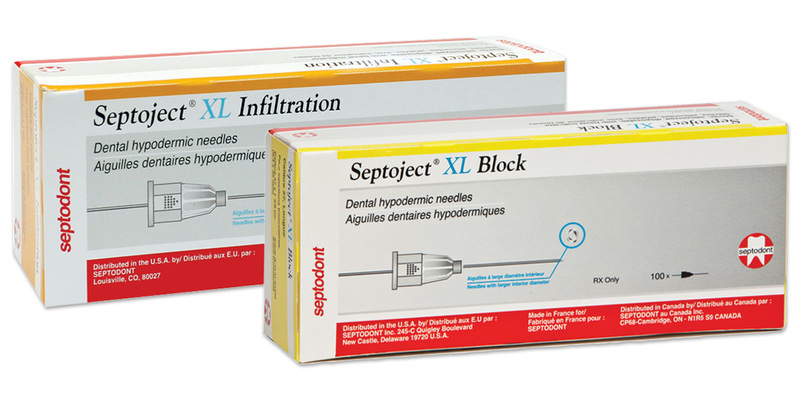 Boxes clearly marked "Block" or "Infiltration" make it easier to choose the right needle for the right procedure. Enlarged bore requires less pressure on the plunger. Triple bevel design; visual indicator for easy insertion.